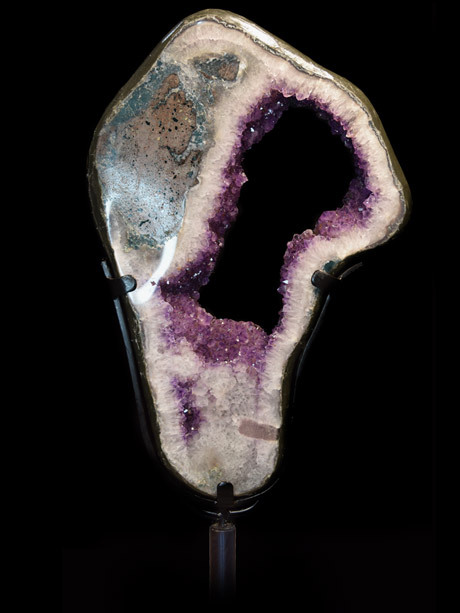 This amethyst geode and agate slice comes from the city of Ametista do Sul in the Brazilian state of Rio Grande do Sul. 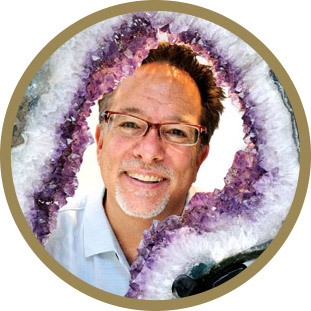 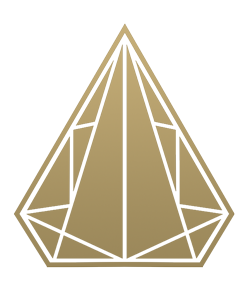 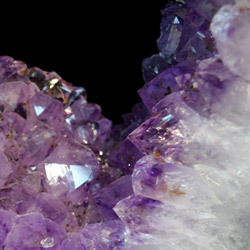 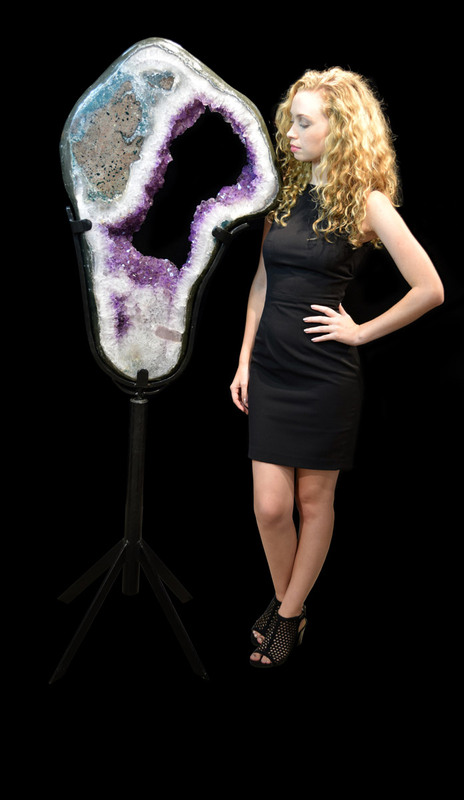 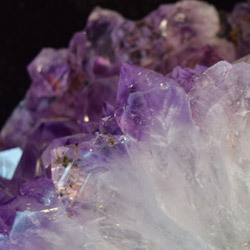 Placed in a rotating base and standing over 5 feet tall, one can see the crystal formations as they reach from the outer to the inner part where the amethyst points form the geode. 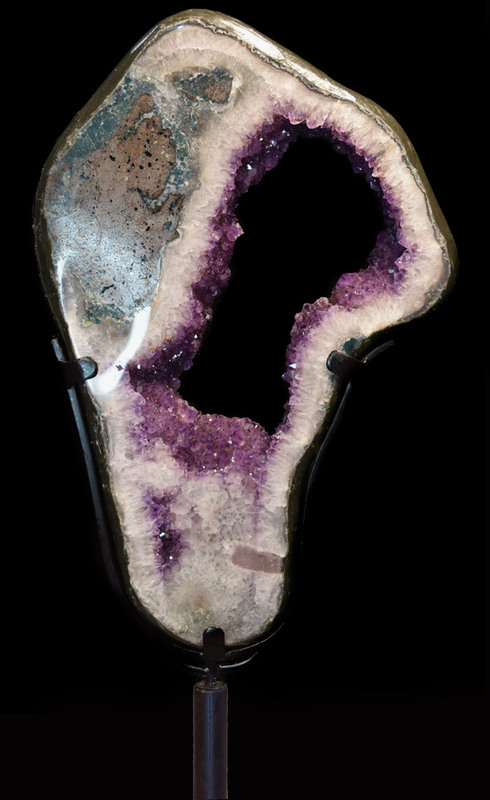 Cut from the middle of a geode, the viewer can see both sides of the piece and how crystals vary in size, shape and formation as the develop over the millennia. 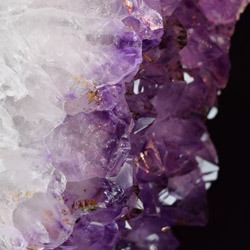 Combining the peacefulness that is associated with amethyst with the stabilizing, strengthening energy of agate, one is brought to a place of tranquility by this piece. 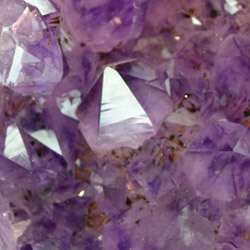 H: 5ft 8” / W: 2ft / D: 2.5"
H: 3ft / W: 2ft / D: 2"